Smart sellers know they’re best to get their property in top shape before putting it on the market, but most of us have a limited amount of funds to spend on the house we’re hoping to leave behind. The best bet for savvy sellers is to focus on the elements that are most obviously in need of attention and the tasks that will help you see a solid return on your investment. Good staging can have a big impact when paired with smaller, less expensive updates. Not sure which updates should take priority? 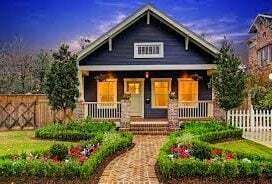 Here are the top suggestions, based on Return On Investment calculations, according to houselogic.com, a website for homeowners published by the “National Association for Realtors”. A full kitchen renovation is rarely worth it if your goal is to sell in the immediate future. Even though sellers would love a freshly renovated kitchen, they won’t want to pay you for it. In general, you can expect to recoup about 62% of the cost of any work done in your kitchen on a resale. If your main reason for completing updates is to prep your house for sale you’re better to focus on low-cost, high-impact projects instead. Don’t replace cabinets if (carefully and properly) painting them will do. Maybe all your kitchen needs is some modern hardware, a new counter or to updated appliances. Setting up your home for selling success doesn’t have to be crazy expensive! Scarred wood flooring, worn-out carpeting and outdated linoleum will leave a lasting impression but it won’t be the one you’re going for. In fact, buyers can be picky and some may even take one step inside a visibly dated home and scratch the property off their list. The good news is that replacing old flooring can definitely increase the value of your home but you can be selective. Replace what’s worn out with attractive neutral-coloured carpet or good quality (resist the temptation to skimp if you truly want to attract buyers)wood flooring. If you already have hardwood floors refinishing might be enough to polish things up. According to the “2017 National Association of Realtors Remodeling Impact Report” you can expect to recover nearly 100% of the cost of this type of upgrade as buyers see real value in it and it goes a long way toward presenting your home in the best possible light. You may have learned to live with the resulting stain left behind by a long-ago fixed plumbing issue, but when a buyer sees that stain it suggests that they should be wary of future, possibly expensive problems. How comfortable would you be buying a property if you thought you might face something like a plumbing issue right away? How should you address it? First, make sure the problem is fixed. 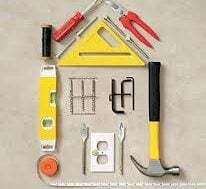 Get a professional to check things over, make any necessary repairs and provide a written confirmation that all issues have been fully resolved. Then, if you need to patch a ceiling or replace drywall or flooring, get it done. Whatever it costs, it will be cheaper than a lost sale. So you spruced up your kitchen, what does the bathroom look like? 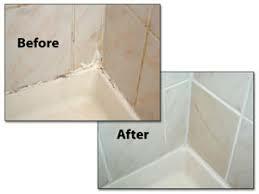 If your grout is black or yellowing and cracked buyers will notice. By the same token, new grout can make old floors or tiles look like new. 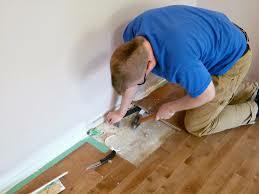 You can hire a pro to do this reasonably inexpensive job but it’s also a great task to DIY. 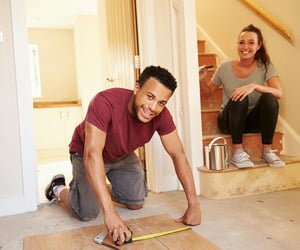 Remember, the focus here is no completing smaller, less expensive jobs that will help to make your home look like (almost) new, so a bit of elbow grease will be well worth it. Do your doors, door jambs or baseboards show signs of abuse from rambunctious dogs or cats? There’s no two ways about his. Fix the damage and remove all traces of pet misbehaviour before listing your home. Any evidence of animal damage alerts buyers to be on the look out for more of the same (ex: If there are scratch marks on the door frame there must be stains on the floor somewhere.”) Similarly to water stains, not too many buyers want to have to deal with cleaning up someone else’s mess as soon as they move in so they may just take your property off their list. This task is super inexpensive, is an easy DIY job and is one of those small, unseen details that can really help to make a good impression. You can purchase a window screen repair kit from a hardware store quite inexpensively and you should be able to complete the job in less than half a day. Some places will do the job for you if you take your frames to store. 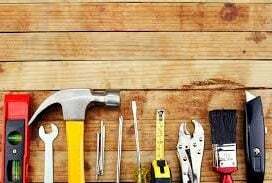 This is one of those small repairs that homeowners often overlook but others will notice right away so it is absolutely worth completing before opening your doors to potential buyers. What’s the first thing a potential buyer notices about your property? They see the lawn, garden and exterior of the house long before they step foot inside. Making a good impression is important and it has to start the minute people pull into the driveway. Grass should be green, freshly cut and as weed-free as possible. 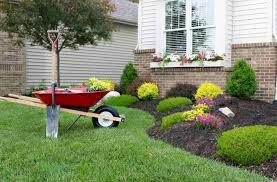 Gardens should be neat, tidy and it should be obvious that someone is taking care of them. Potted plants are an easy way to add a splash of colour (both inside and out) and need little more than sun and water. It is absolutely fine if kids’ toys are visible but they should be kept out of the way of foot traffic and should not detract from the over all impression that great care is taken to keep your home in good shape. Again, it is impossible to overstate how important that first impression is. The good news is that if the impression your property leaves is a positive one, your efforts to keep things looking good may just be rewarded with a quick and easy sale!